A couple of weeks ago Niantic launched a special research task that made a new generation for Pokémon available for the first time. 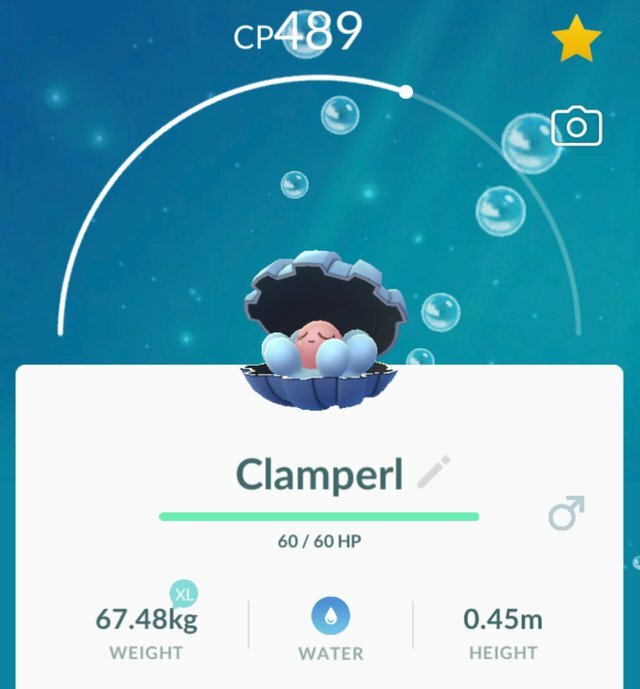 Clamperl is a water type Pokémon that could be obtained by performing in completing special research task at random Pokestops. It was only an event that lasted two or three days so when I came to realize it, it was already too late for me to complete them as I had forgotten about it given other commitments that I had. 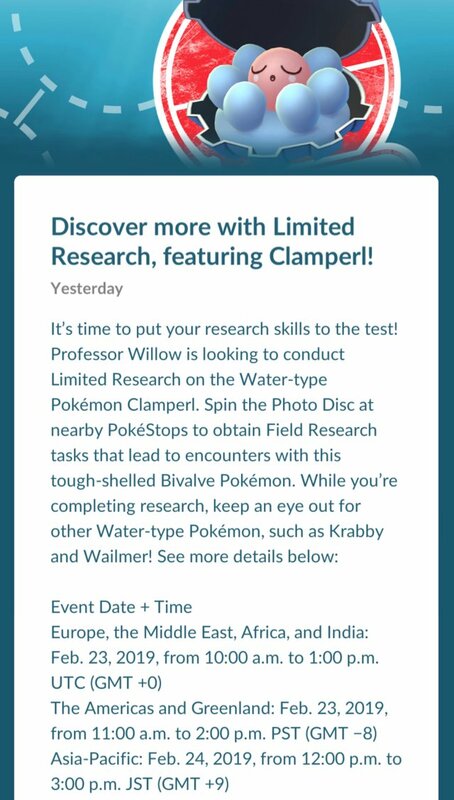 I am surprised that I didn’t notice the event as I would have typically gone out to find the research task and complete it just to be able to add one to the Pokédex. However, water type Pokémon are common to see in my area so I did not notice anything different those days. I had also been holding on to some old research task which did not allow me to acquire any from spending the stops which is probably why I missed out on the event. Speaking with local members that play the game, they said it wasn’t nothing very special except for the fact that the Pokémon was also available and it’s shiny form. But as a true Pokémon trainer, despite having lost some interest in the game as of late, I searched for one of my good friends to see if he had completed and had some extra. As I thought, he had more than enough to trade given he plays with a number of accounts. While he didn’t have an extra shiny to trade, he was able to get me at least the one I needed for the Pokedex entry. I guess I can call this another fail but the game has been so packed with content that I have needed to take a break given the fatigue that has set in from playing. I hope to get another wind to go back to enjoying and actively playing the game soon.